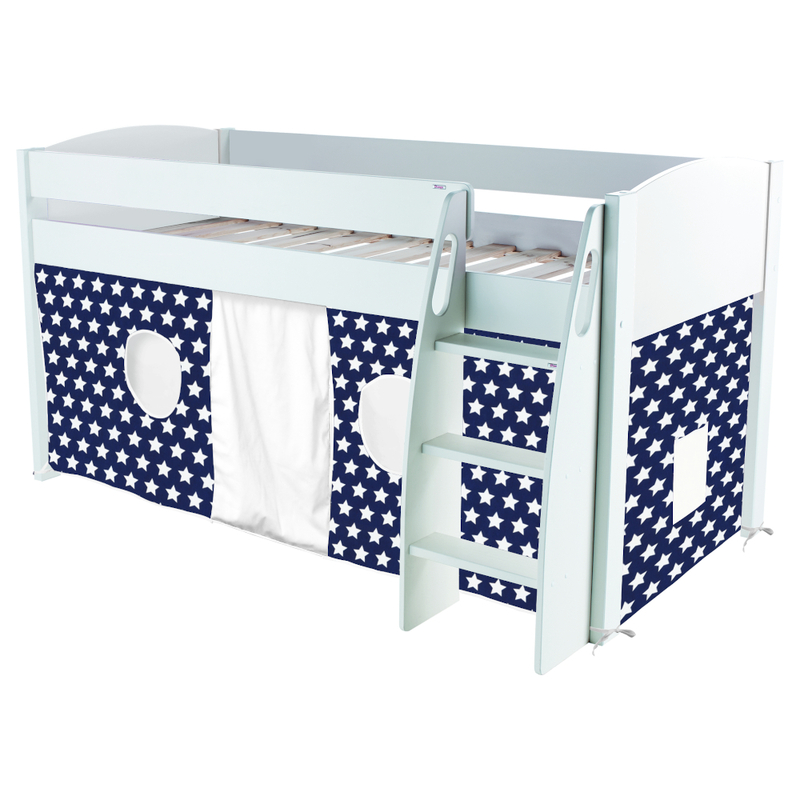 By adding Stompa furniture you can create clever, useful combinations that can help improve the use of space in your child's bedroom. A real fun bed for your children, and definitely more than just a bed. With a great play den hidden behind the three sided tent. Includes Uno S Midsleeper with blue and stars tent. 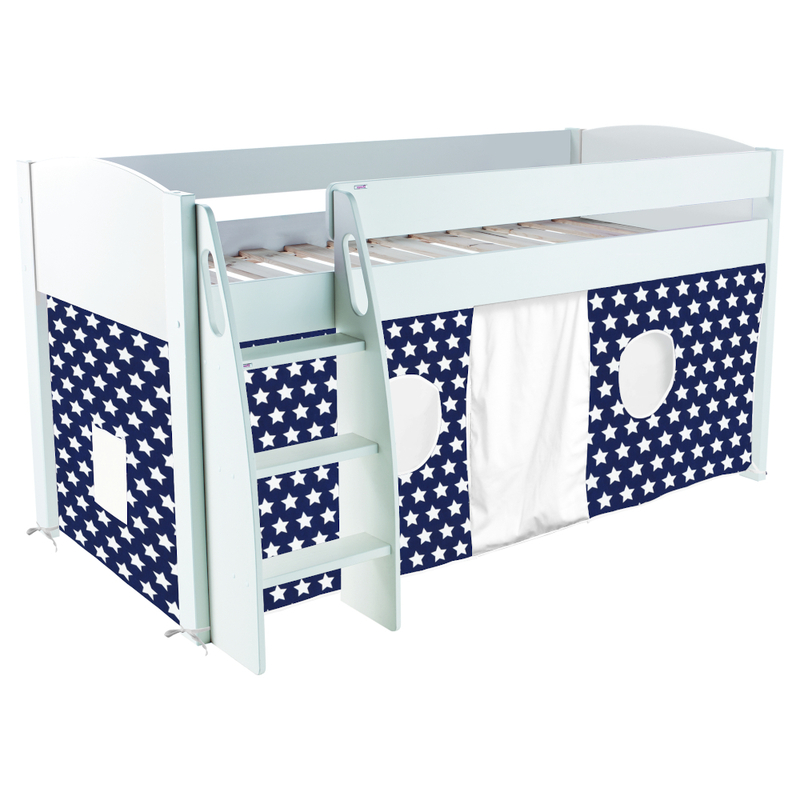 Size of Midsleeper Bed H1129xW1212xL2082mm. Includes three sided Blue and Stars Play Tent. White lacquered finish with white lacquered headboards.